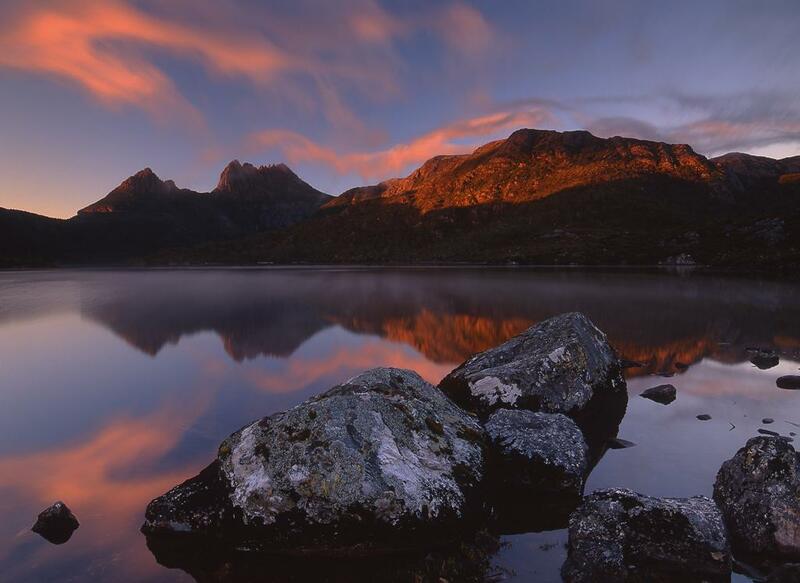 The beautiful Cradle Mountain-Lake St Clair National Park is located in central Tasmania, Australia. 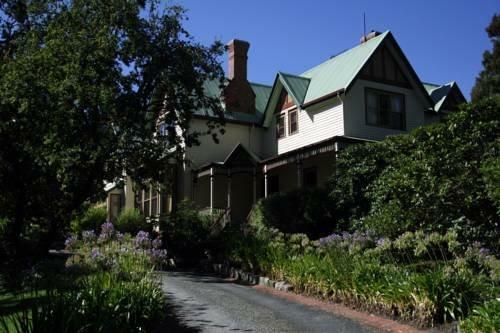 More specifically, it lies in the Central Highlands region, about 103 miles northwest of Hobart, the state’s capital city. The national park consists of essentially two parts. 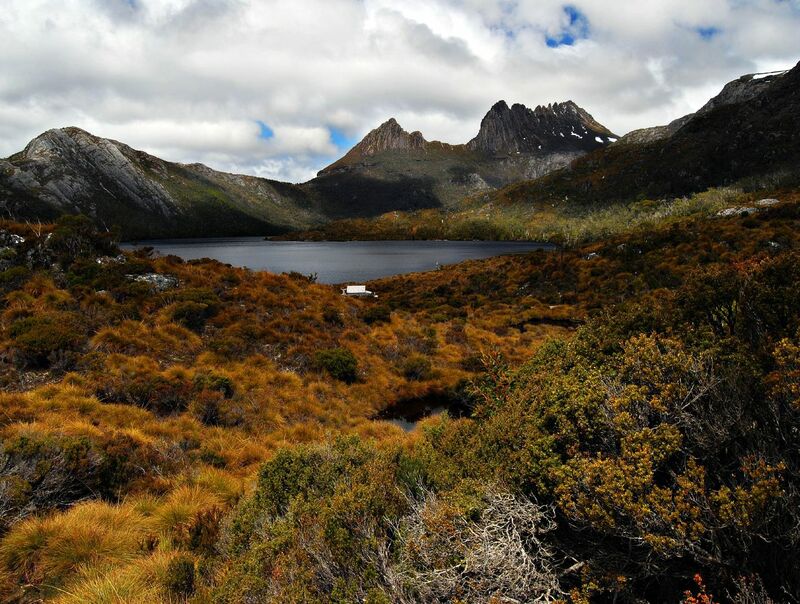 The northern part is formed by Cradle Mountain and its surroundings, while the southern part encompasses Lake St Clair and its surroundings. Hence the combined name of the national park. 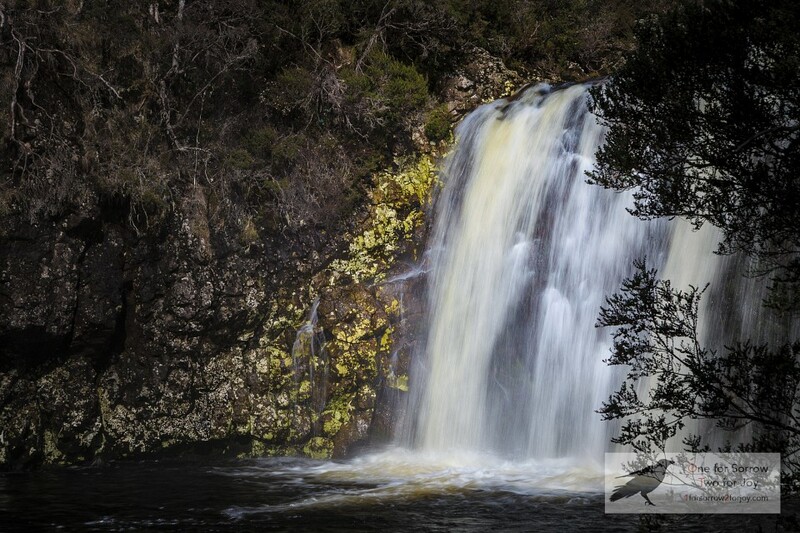 The national park in itself is part of the larger Tasmanian Wilderness World Heritage Area for its majestic landscapes. This rugged and wild region consists of glacial lakes, ice-cold mountain streams, rainforest, pine forest, alpine heathlands, and mountain ranges. The diverse vegetation of Cradle Mountain-Lake St Clair National Park includes rainforest, as well as grass- and heathlands. It is home to the endemic King Billy Pine and the native Deciduous Beech, a rare plant species. 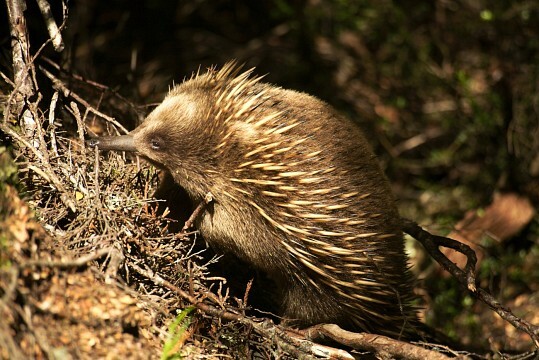 Wildlife is abundant, as can be expected from wilderness like this, and includes animals such as Echidnas, Platypuses, Tasmanian Devils, and Quolls. Bird species are countless. The national park’s major features are, unsurprisingly, Cradle Mountain and Lake St Clair, incidentally the deepest lake in Australia. Besides that, there are other significant landmarks and popular activities. 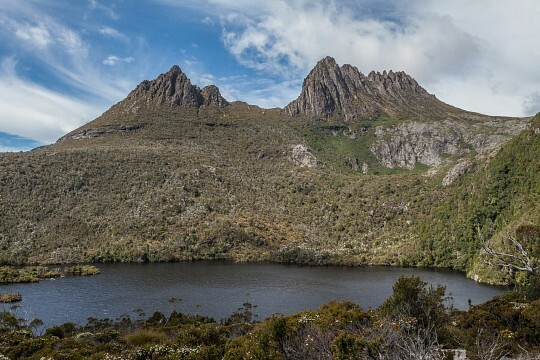 Examples are Dove Lake , Barn Bluff, Mount Pelion East and West, and the world-famous, long-distance Overland Track, a hiking trail that runs between Cradle Mountain and Lake St Clair through the heart of the park’s wilderness. The entire area was covered in ice during the Ice Ages. The enormous glaciers (up to six kilometers thick) carved their way through the landscapes, leaving behind a series of rugged mountain ranges and peaks. When the ice caps started to retreat about 10,000 years ago, the first Aboriginal people began to move into the mountains. We know this now, because of the presence of large areas of grasslands. Those grasslands were created by the Aboriginals through bushfires to clear paths and attract game to the new vegetation that sprang up after a fire. Many archaeological sites can be found throughout the park. 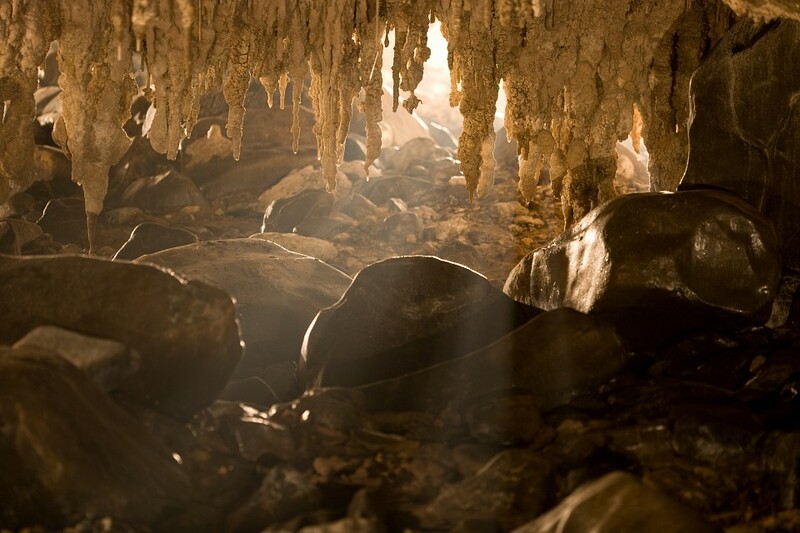 The first Europeans to set foot in the area were explorers in the 1820s. Lots of prospectors, land surveyors, and settlers followed soon after. 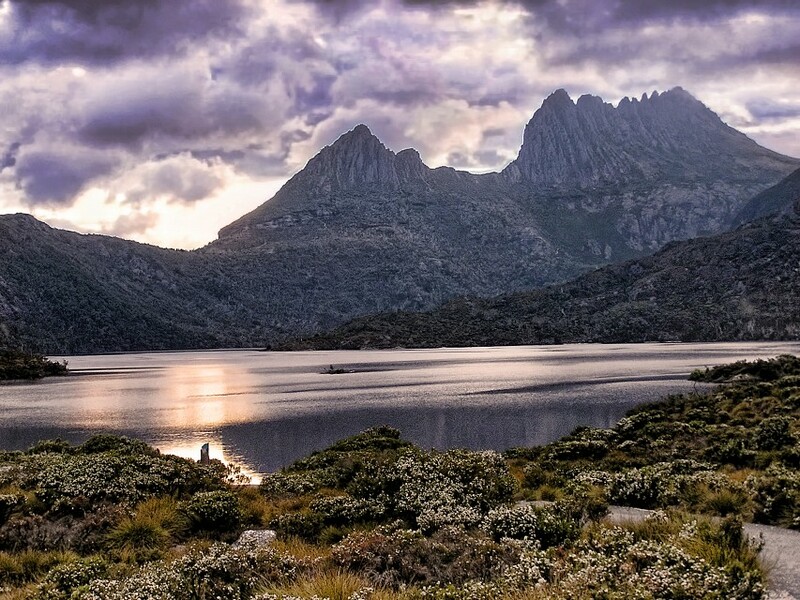 The explorer, Joseph Fossey, gave Cradle Mountains its name in 1827 for its resemblance to a cradle. Tourism in the area began as early as 1890. Governor Hamilton had a house and shed where visitors could stay. The Austrian naturalist, Gustaf Weindorfer, bought land in Cradle Valley in 1911 and built a house which he opened to visitors who wanted to see the area. 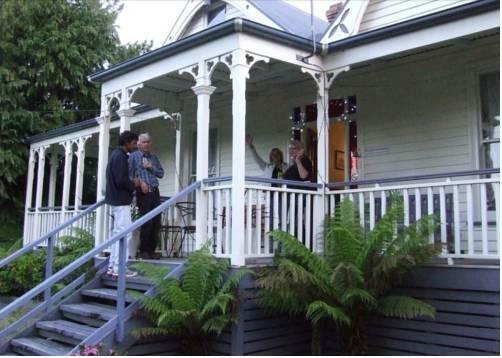 His house is now the starting point of the Overland Track. The Cradle Mountain and Lake St Clair region became a national park in 1971. The most popular activity in the national park is hiking. It is by far the best way to experience the national park and to get closer to its major landmarks, nature, and wildlife. 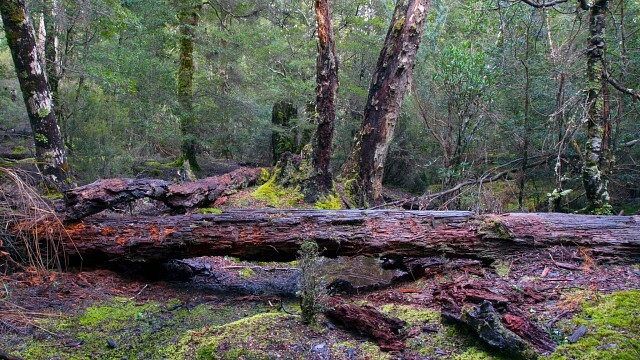 There are several hiking trails throughout the park, from easy short walks to the challenging Overland Track. 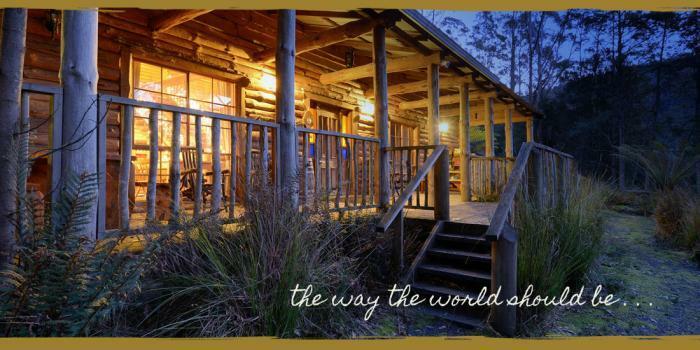 Examples of short walks are Dove Lake Loop Track, The Weindorfers Forest Walk, Visitor Centre Rainforest Walk, and Enchanted Walk. These hikes can be done in a couple of hours or less. More serious hikes can be done as well, ranging from a couple of hours to a full day, or even an overnight hike. 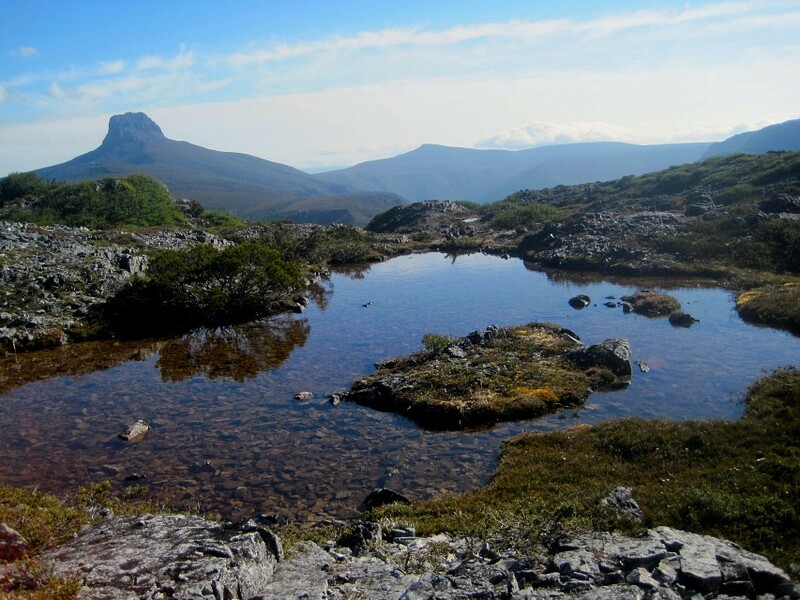 Suggestions are the Marion’s Lookout Hike (two hours), Hanson’s Peak (two hours), Lake Rodway (six hours), Cradle Mountain Summit (six hours), Barn Bluff (ten hours or overnight), and Waterfall Valley (also ten hours or overnight). 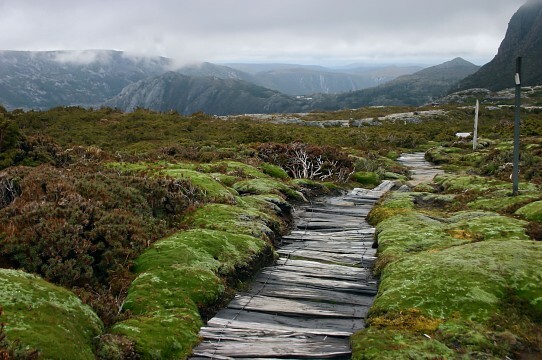 The Overland Track is one of the most famous long-distance hikes in the world. It runs for 40 miles from Cradle Mountain, south to Lake St Clair, and takes at least six days. Except for basic campground, there are no facilities on the way and it is therefore strongly recommended to be prepared and in good, physical shape. 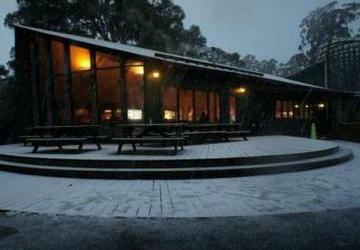 People who want to do this should pay their Overland Track Fee in advance (there can be a waiting list). Other activities are scenic flights, kayaking, white-water rafting, and seasonal trout fishing. Some of the archaeological Aboriginal sites can be seen along the Aboriginal Cultural Walk that starts at Lake St Clair. Cradle Mountain-Lake St Clair National Park can be entered in Derwent Bridge in the South (two and a half hours northwest of Hobart), and Sheffield in the North (one and a half hours from Devonport, and two and a half hours from Launceston ). 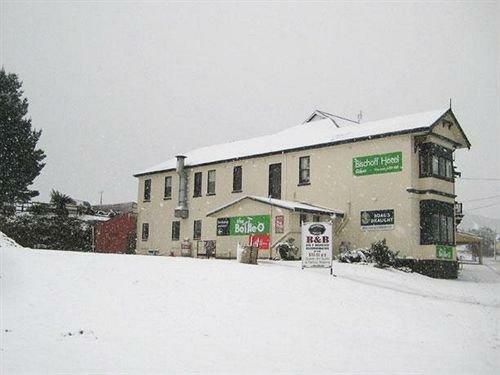 The only ways to get there are by car or by bus from various towns in Tasmania. Either way, visitors are required to purchase a national park pass, a vehicle or a single person pass, respectively. 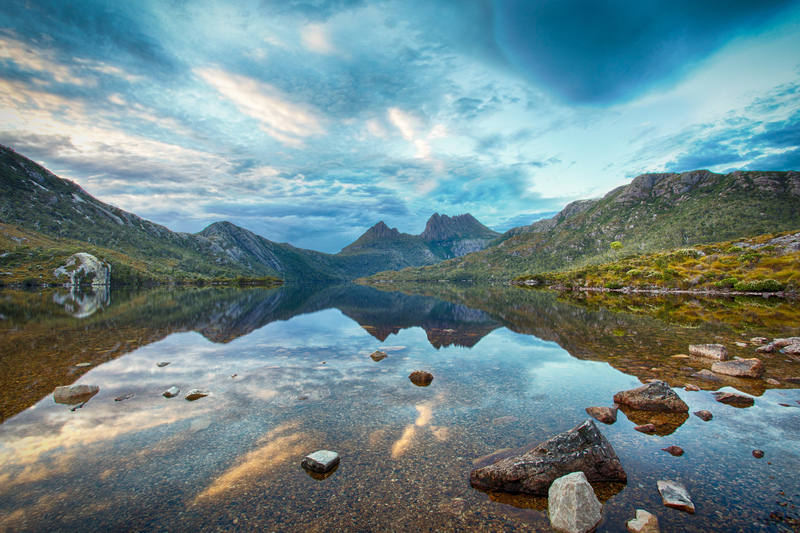 This national park with its glacial valleys, rugged mountains and true wilderness is unique in Australia. There are, however, other mountainous regions in the country. 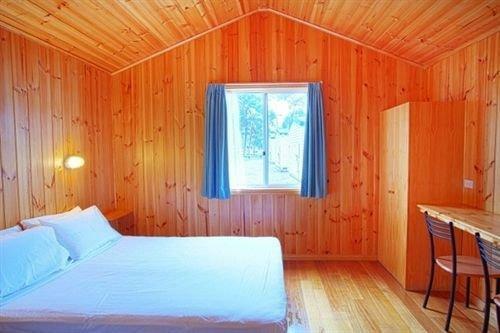 Examples are the Snowy Mountains, Flinders Ranges National Park, Grampians National Park, and Alpine National Park.